We have another Stamp Highlight for you today! 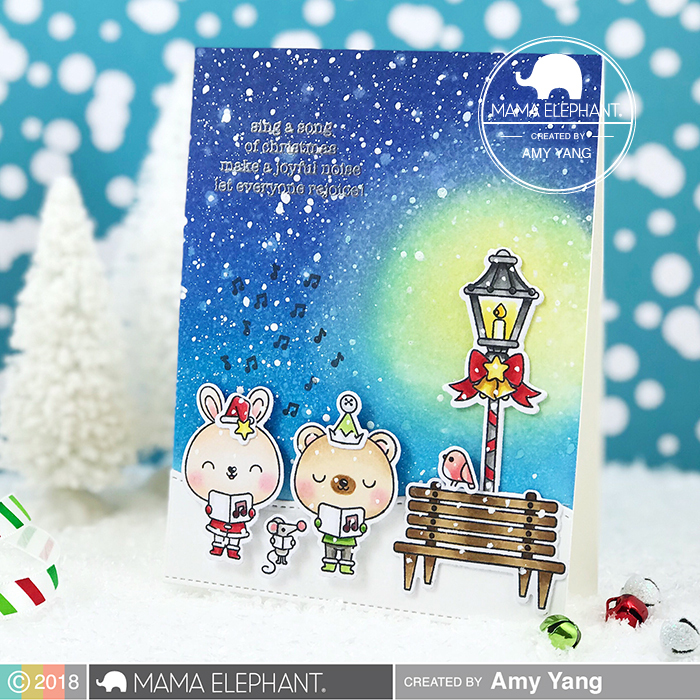 Today we are looking at Luli Bunny's sweet caroling critters in the new Let's Go Caroling stamp set! 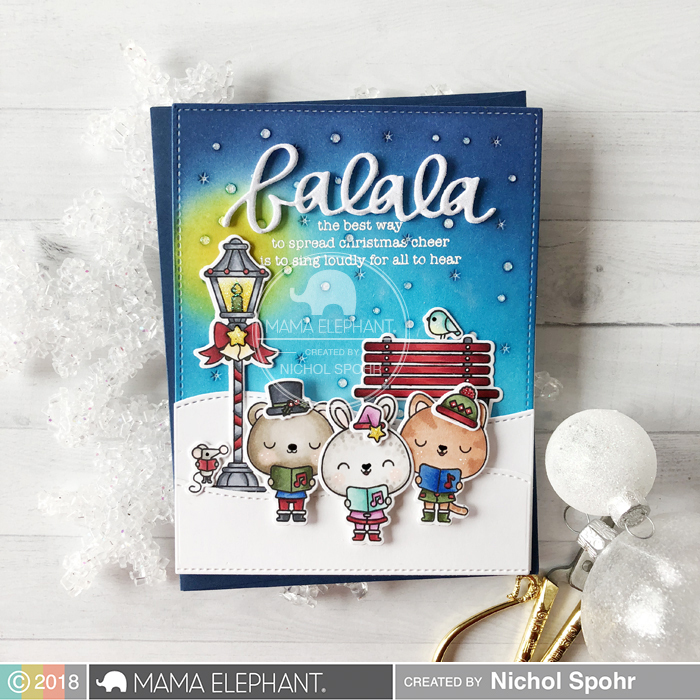 Nichol created a background scene for these sweet carolers with the Galactic Cover and On The Hills border. The Falala Script Creative Cuts greeting is the perfect finishing touch. Here's an adorable card from Keeway! How cute is it that the little mouse is standing out the top hat to get enough height? 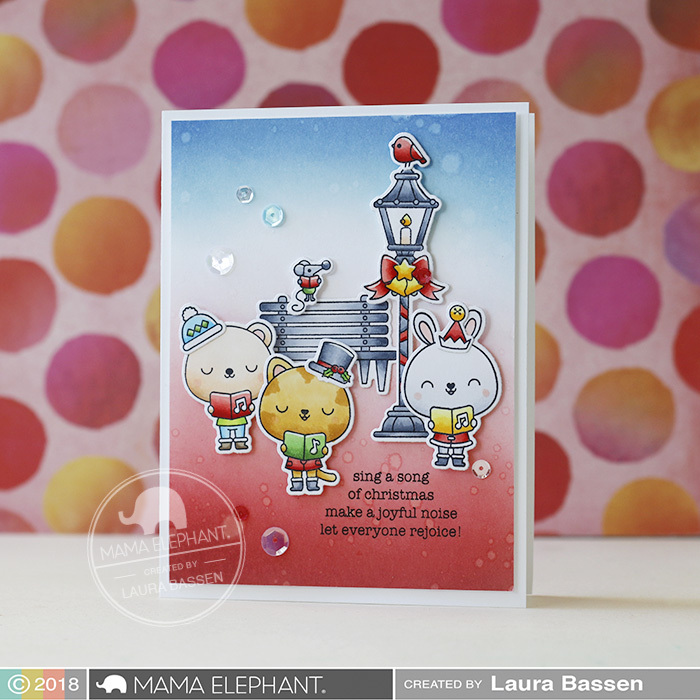 We love Laura's colorful & festive scene! Such a sweet scene of carolers by Thi! We love the little mouse singing his own verse. Cute card by Vera, love the bunny sitting on the bench! Super adorable!! I love the little critters caroling. You can almost hear them singing!! So much fab variety on these lovely scenes. Thanks for the inspiration. I love these cards!! Such a cute set!!!! Adorable cards! Love this set!